The portable storage uses below are just a few of the varied uses for portable storage units. With our years of experience, we are able to provide our customers with the support they need. 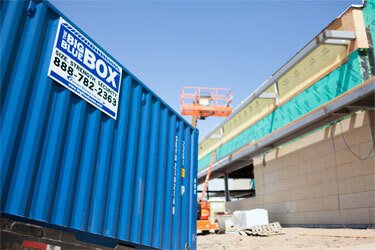 We work with both residential and commercial customers and have options for 10, 20 and 40 foot containers. Understanding the need for convenience and quick responses, our business is here to provide you with the service that you deserve. Whether you would like to store your storage container at your place, or ours we are able to assist you. Call today for a quote or complete our online quote request form. We understand the stress of moving, remodeling, or just plain needing more space. We make it easy to rent the right portable storage container for your needs. You’ll appreciate the personal attention we give to each and every one of our customers. Whether you need a small temporary portable storage container at your home or a larger storage container for moving, we have you covered – even on short notice. Finding storage is a huge task, and no matter what the reason you are in need or a storage unit, Portable Storage of Minnesota is the perfect solution for short or long-term storage.Moving is a huge task, and often times when you are moving, there is a gap between when you can move out of your current space and into the next, with our storage units we provide you with moving each unit, and also are able to offer you reasonable prices. No matter what the reason it is that you need a storage unit, we are here for you, whether you need a equipment storage unit, farm storage space, construction storage space and more. We offer economical rates on our portable storage units for temporary or long-term usage. Give us a call today and we’ll be happy to answer any questions you may have..
Portable storage container with boxes. Commercial discounts available: Call or request a quote to learn about our discounted commercial rates. Store your filled portable storage unit at your site or ours. Once loaded, our 10 and 20 foot portable storage containers can be stored at your site or, if you prefer, they can be stored at our secure facility and returned upon request. There is no additional rental charge for storage at our facility (transportation costs apply). Please note that 40 foot containers cannot be moved when loaded.